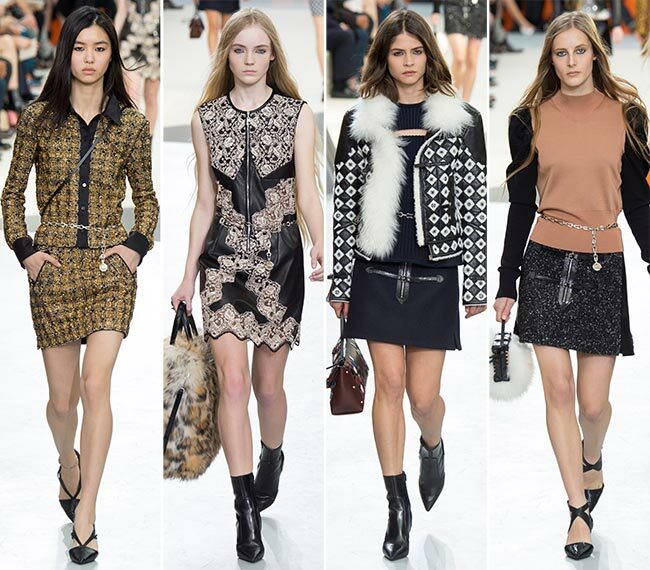 Selena Gomez drew quite a few eyes as she arrived at the Louis Vuitton fall/winter 2015-2016 rtw show today, amidst murmurs that she may become the brand’s fresh new face. 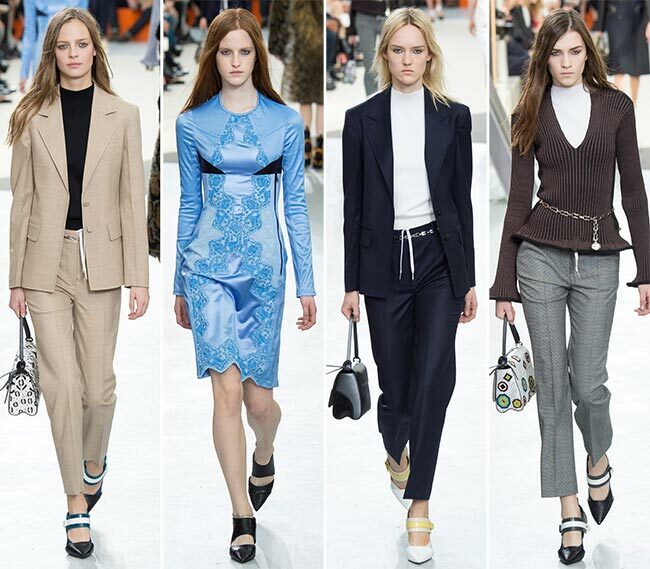 The final day of Paris Fashion Week has been full of incredible looks and we cannot but help admire the bright and beautiful pieces presented to us through the Louis Vuitton fall 2015 line-up. 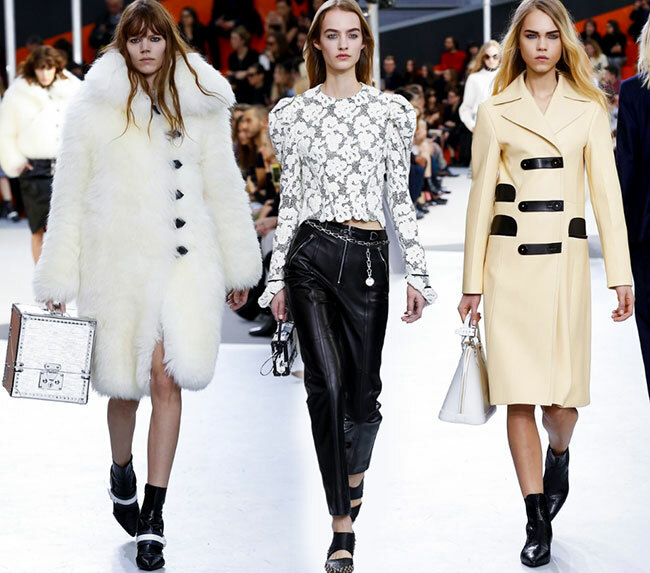 The first model walked out in a shearling or fur chubby coat given a graphic twist with luxe leather fastenings, a cubical handbag in her hands, the feet clad in a black bootie with a white strap in front and her hair left free in boho waves. Perhaps it was at that moment that we shivered at the sight of bare legs and felt ultra-warm at the sight of that oversized outerwear piece, combined to create the perfect effect that would tide us through the who of the show. 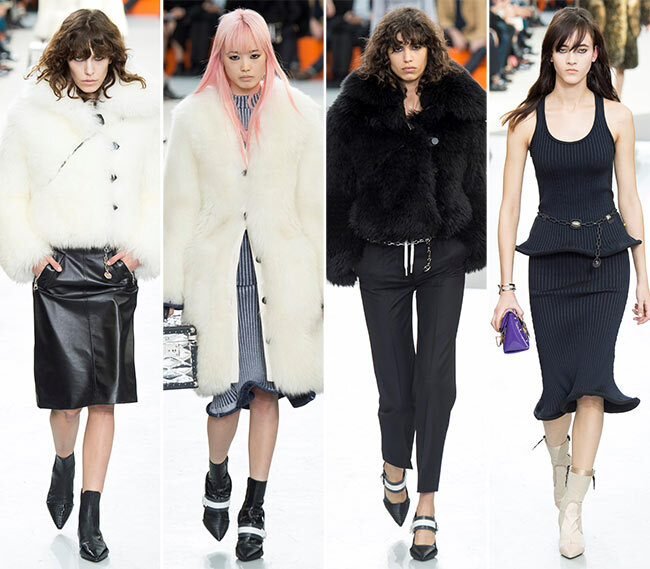 From that first piece worn by Freja Beha Erichsen, we are positive we may be able to survive an Arctic front. 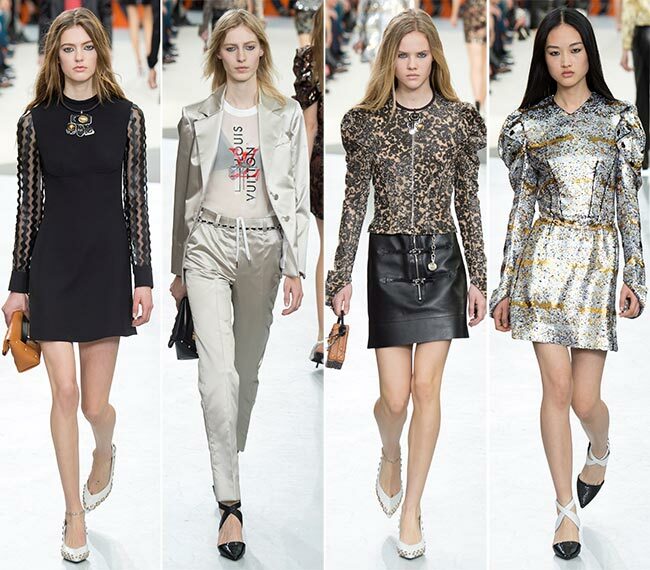 Within three seasons, creative director Nicolas Ghesquiere has managed to create a whole new identity for the brand, making the Louis Vuitton girl the coolest chic around, literally. Everything she wears, from the accessories to the garments, the hair and the makeup, she looks amazing in; best of all, they all manage to match. 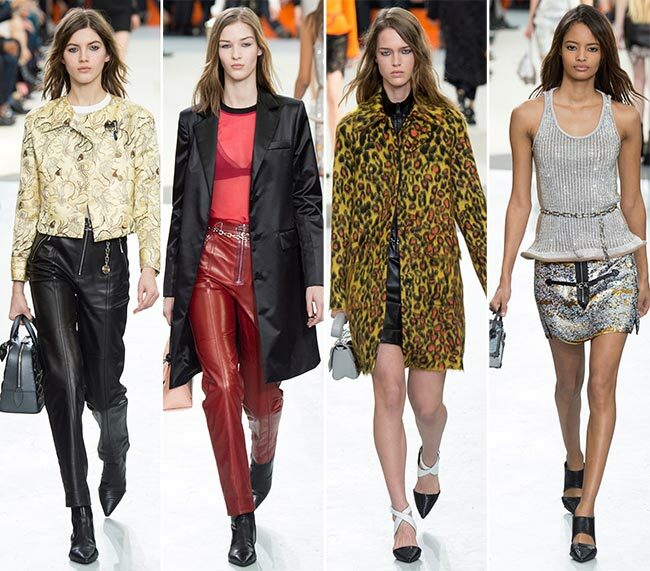 Ghesquiere is a genius at manipulating fabrics, so just like we cannot tell if that first chubby was fur or shearling, fake or real, we are often thrown for a loop when lace turns out to be leather, or when what we believe to be a vest is actually a corset. Since Louis Vuitton knock-offs are common enough, this is one way of ensuring no one is left duped by opportunists who lie and cheat for a living. Structured peplum knits were an interesting choice that used classic rib jumpers and had them modernized with heavy hems and details that had them stand away from the body. The slash across the collarbone was a nice twist to the trending plunging V-necks, while the metal link belts added a rather unique touch. The new big accessory from the runway today is the oversized vanity case that gleams in the light and is made to be a handbag. Luxury luggage is a big thing for the French fashion house, and this time it was pretty silver objects made to capture one’s desire. The famous brand has also been reworked so that loyal fans will be infinitely pleased to show off their fall/winter 2015-2016 LV accessories. Big bug-eyed sunglasses were definitely one of the latest LV statements and we are totally in love. Shoes and sock boots on the runway had either a low or mid height and even a slightly off stiletto heel to finish it off. 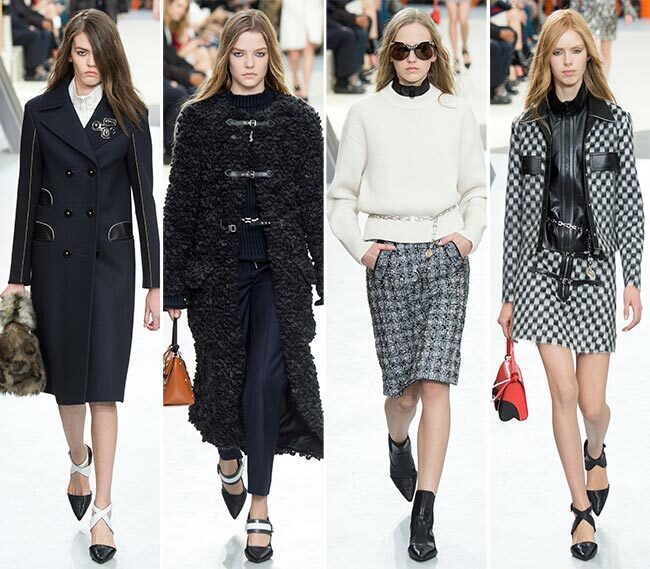 The whole of the Louis Vuitton fall/winter 2015-2016 collection was simply breathtaking and exactly what one might expect from the luxury fashion house. It certainly doesn’t hurt that the creative director is a pure fashion genius with a hawk’s eye for stylish aesthetics. 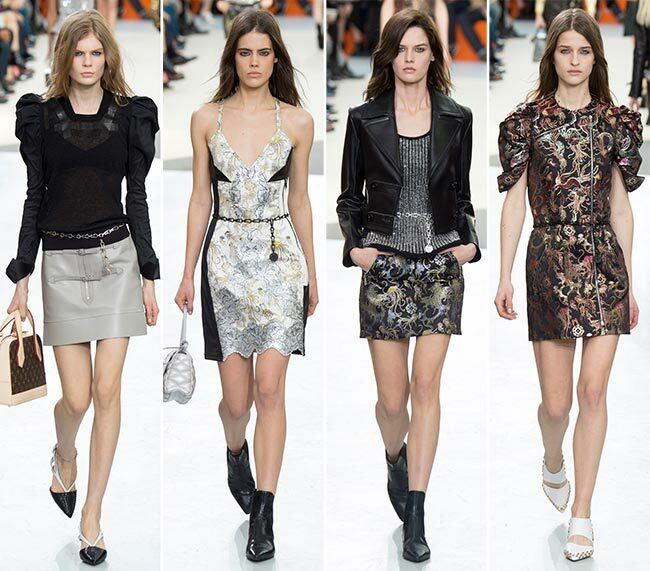 The future certainly does look perfect when we look at these lovely dresses and outfits!